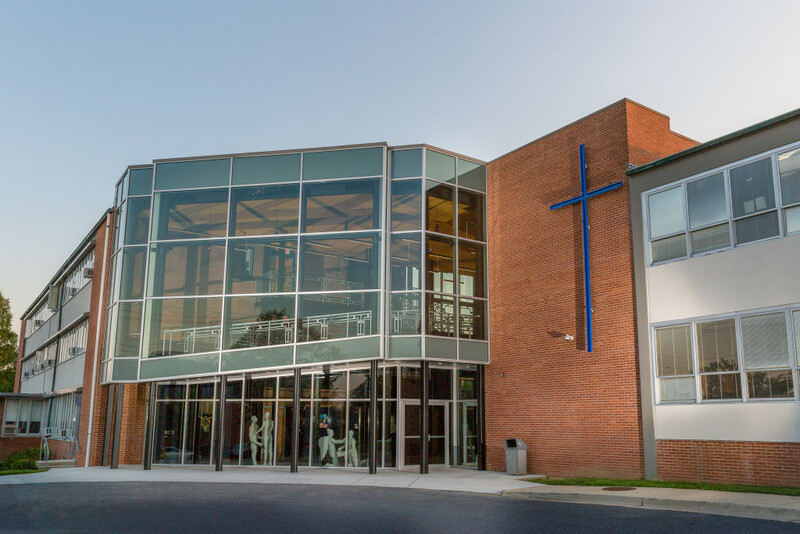 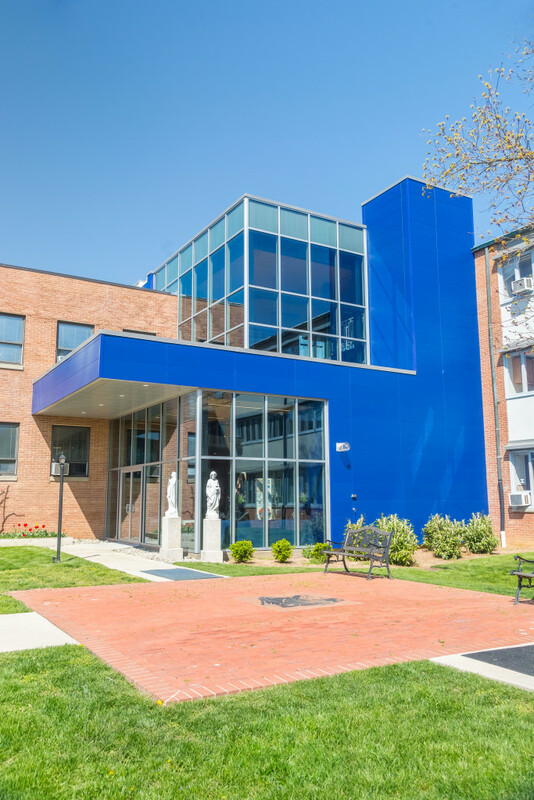 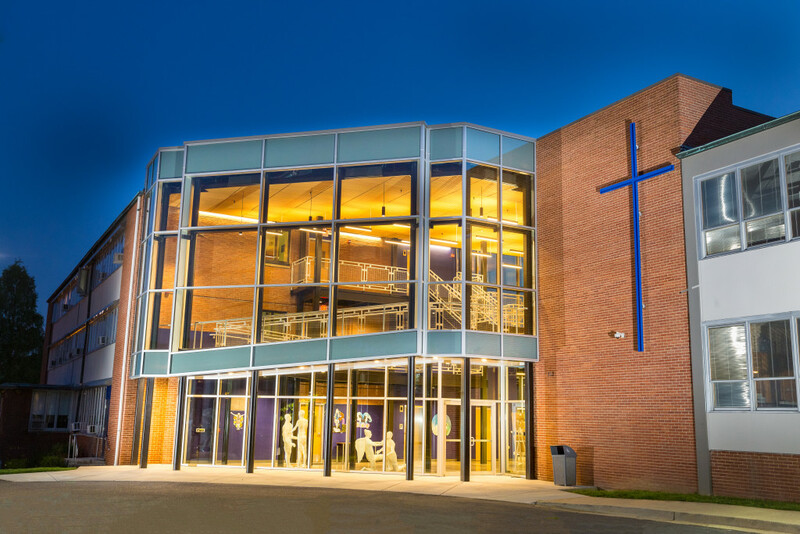 St. Vincent Pallotti High School located in Laurel had a challenge: How to connect their current school to an adjacent newly renovated building. 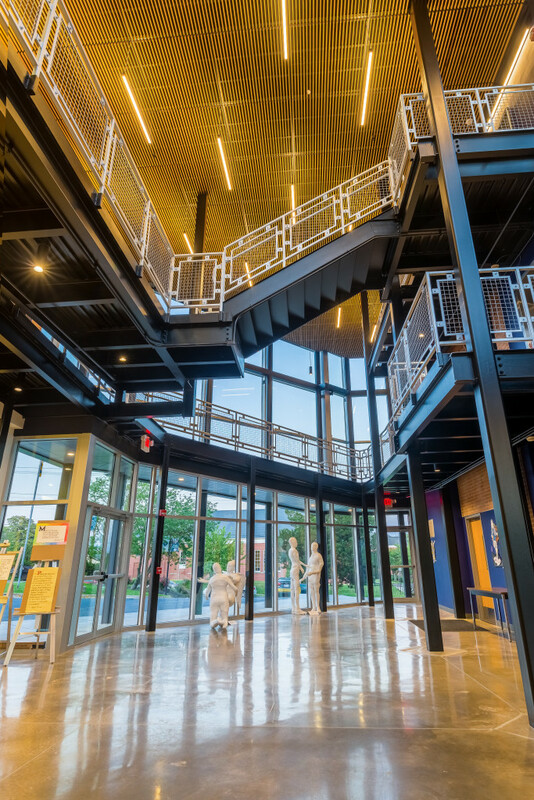 Brown Contracting teamed with the school, board and architect to answer the challenge. 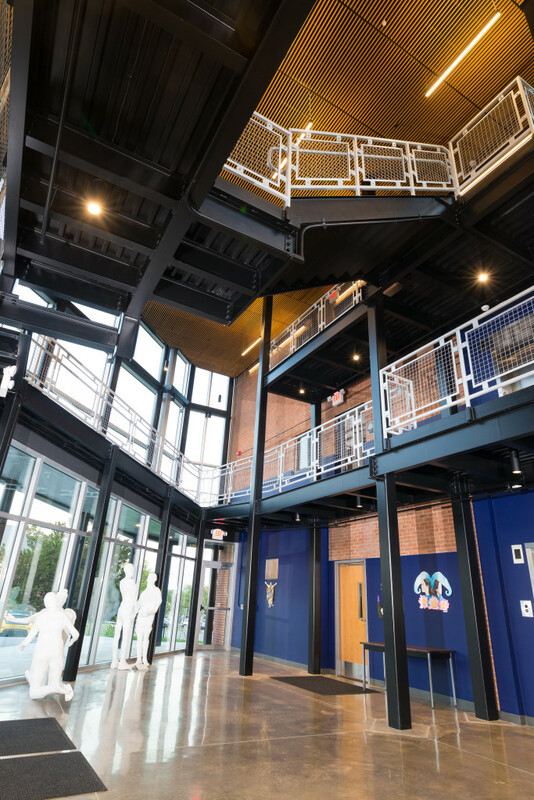 Working with the team from preliminary design through construction Brown recently successfully completed this 3 story foyer project. 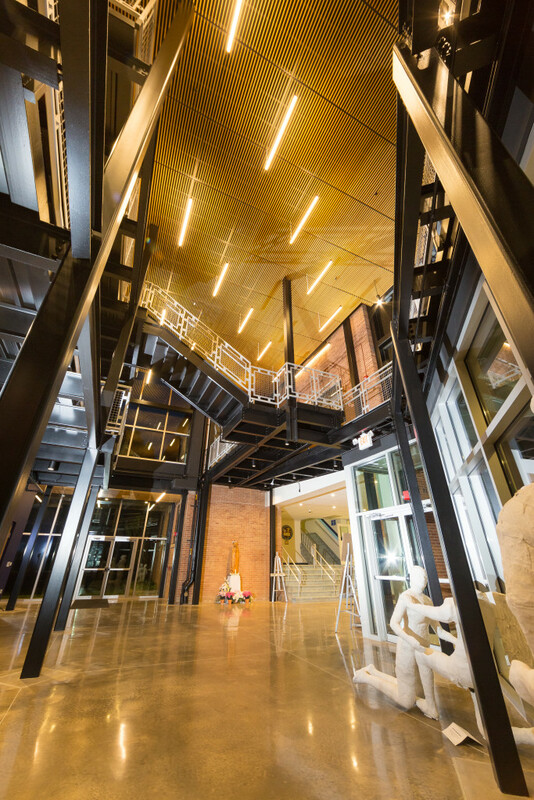 The construction included a steel structure, curtain wall glass, radiant floor heating and a green roof system.